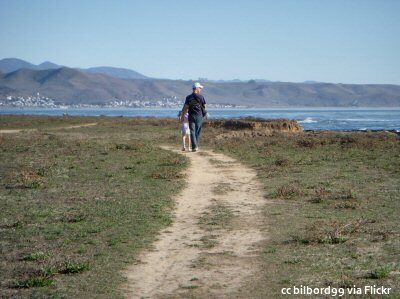 Estero Bluffs State Park is found just north of Cayucos, and west of Highway 1. This park takes in over 300 acres of coastal terrace with easily accessible trails leading down to rocky beaches. There are a number of distinct environments with abundant bird life as well as marine mammals. A previous Photo of the Week selection. Some of the state parks in Central California are easy to miss. Like Harmony Headlands State Park, Estero Bluffs State Park is located right off Highway 1, but there isn't much in the way of signage alerting you to its presence. The Estero Bluffs State Park is shown on the map above as the light green section of coastline. There are 6 major pull off parking areas along this nearly 4 mile portion of Highway 1. The trails are accessible at these pull offs. The parking areas are all on the ocean side of Highway 1. 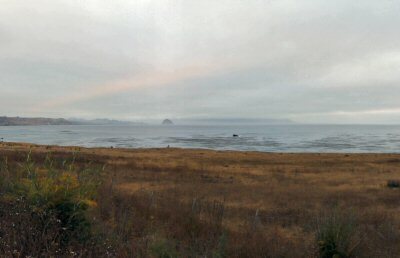 A view of the bluffs from one of the parking areas with Morro Rock just visible in the distance. The park encompasses over 300 acres and stretches over 4 miles. The water's edge is usually no more than 200-300 yards from Highway 1. 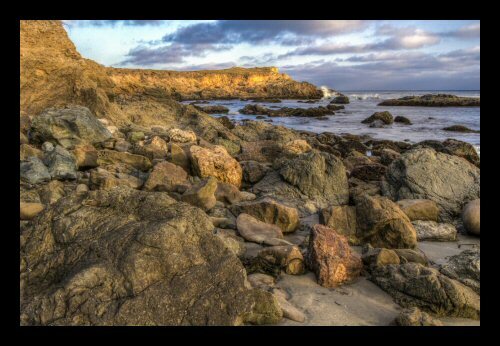 The coastal terraces are only a part of the interesting habitats along here. There are marshes, both fresh and salt water, estuaries, seasonal and perennial creeks as well as the grasslands. This allows many different varieties of wildlife to make their homes here. If you are interested in birding, there are numerous species that can be seen here. The Morro Coast Audubon Society has a good page on where to find different species of birds. 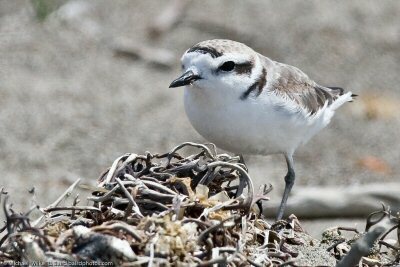 There are snowy plovers found at Estero State Park which indicates the presence of sandy dune and foredune areas. This is where this bird prefers to nest and raise their chicks. 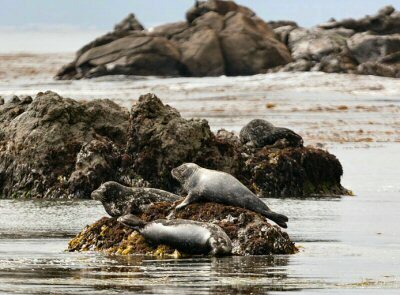 There are numerous marine mammals to be found here as well, such as the harbor seals pictured to the right as well as otters. The elevated area of the coastal terrace above the beach is also an excellent area to watch for passing whales, particularly the gray whale. More information on whale watching at this link. Part of the charm of this state park is that while it is near the highway and easily accessed, it remains very close to its natural state. There has been no development here and what little use was made of this land was by ranchers who grazed cattle here. Once you are down at beach level, the bluffs limit any view of the highway and it is quite easy to imagine yourself here before any human activity. 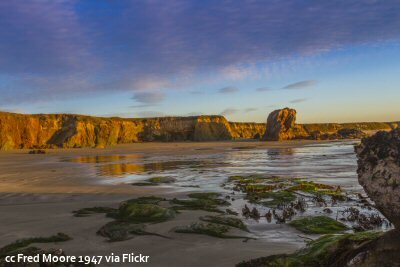 That is certainly one of the best things about Central California - development can be useful and interesting, but here you are presented with numerous opportunities to see a raw and unspoiled California. That is certainly not available in the metropolitan areas.